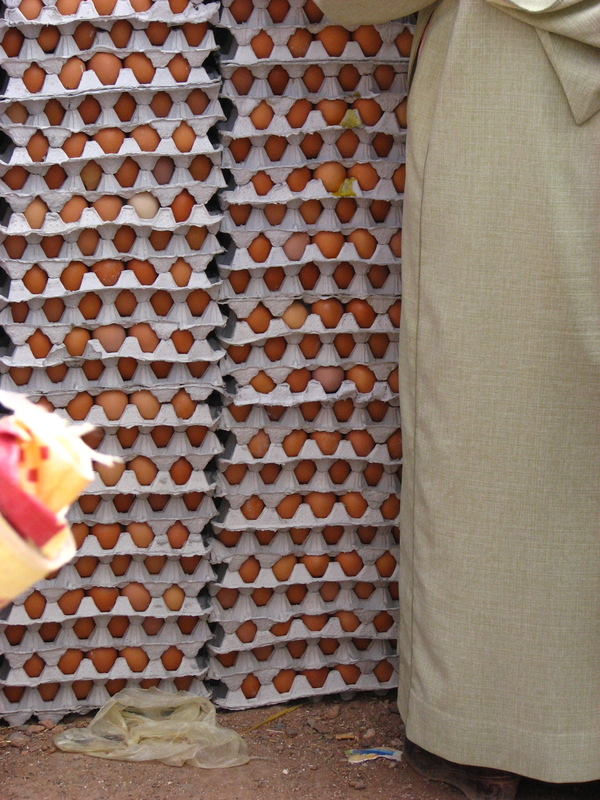 One Monday morning in Morocco our group was en route when we realized it was market day in the local village. So we stopped and what a dream it was. Spices. Vegetables. Watermelons. Biscuits. Covered chick-peas (similar to peanuts and oh so delicious). Lots of eggs. And just the excitement of knowing that the produce sold at the market was locally grown. These people are on the 100-mile diet without having a book to describe how much healthier it is than buying imported products. Or academics to explain the environmental benefits. They are not simply catching on to the latest fad. Au contraire. Markets have existed since the 12th century. This is life. There is no other option. Yet this is a “developing nation”.